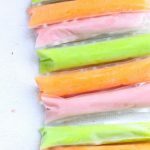 Cocktail slushies (cocktail ice pops) in Zipsicles let you bring your cocktail to the beach or pool. 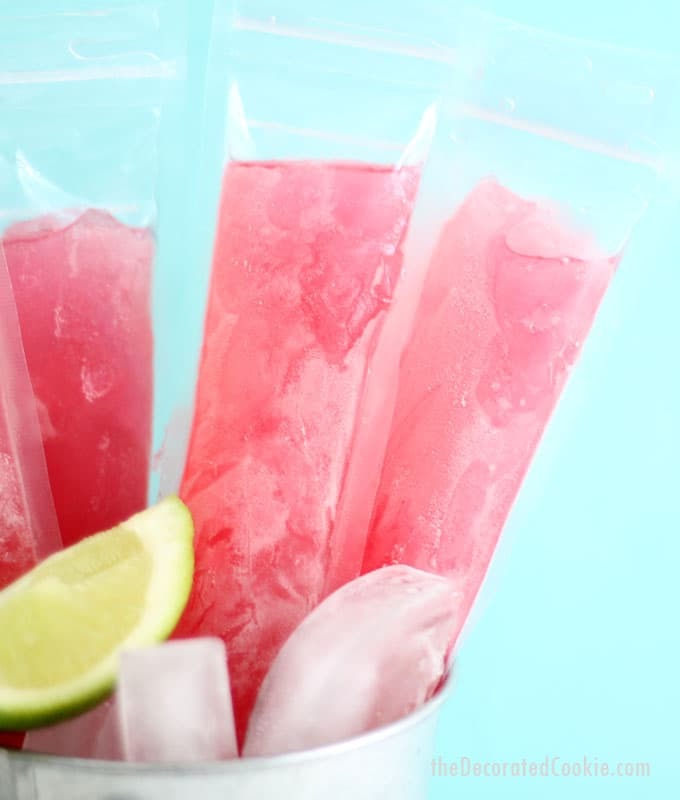 These cocktail slushies — or, more specifically here, cosmopolitan ice pops — are the ideal beach cocktails. 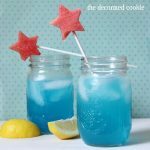 Or pool cocktails. Or summer party cocktails. No matter what your summer cocktail needs, these fit. Ice cold, perfectly blended, just a bit slushy… Because alcohol doesn’t fully freeze, the Zipsicle pouches are so much more user-friendly than trying to pour cocktails into popsicle molds. And this way you have lovely individual servings so no cups needed. If you’re ambitious, save the bags and wash them out to re-use. 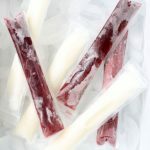 If you like these, you’ll have to make some wine ice pops, too. 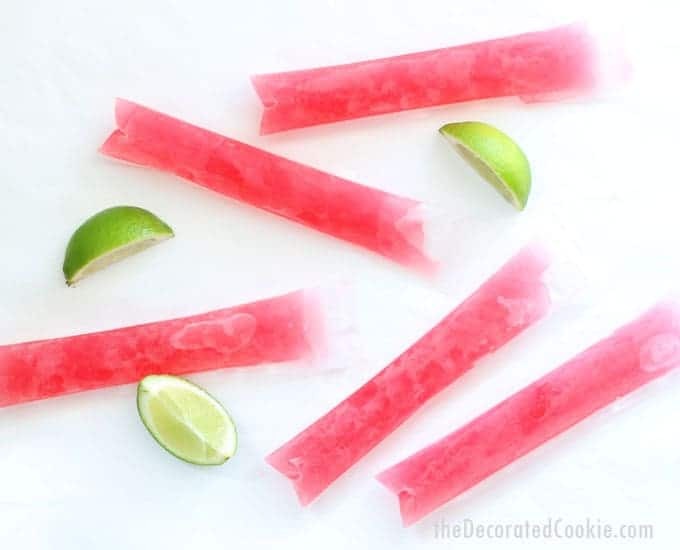 I personally prefer my cosmos to be a bit stronger and to use a lower proportion of cranberry juice, but these are still pretty strong and I used more-than-I-usually-do of cranberry juice to have a liquid in the pops that can fully freeze. Mix all the ingredients in a pitcher. 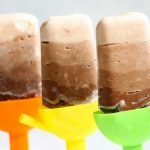 Use a funnel to pour into the Zipsicle pouches. Freeze overnight.